Some weeks ago we had a terrible storm in Germany called Kyrill. He left a trace of destruction especially in our woods. Every day a lot of trees are pulled out of the forest and piled up next to the paths. A great thing for Jane. 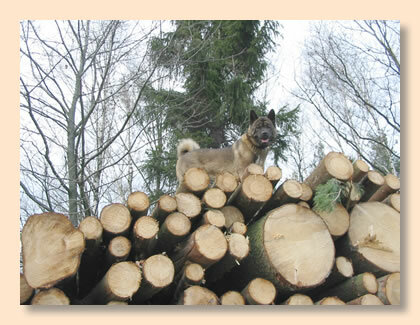 She loves it to climb these piles as you can see in this picture.